The Church of the Nazarene needs more voices of holiness pastors to sound the alarm to the people. I call upon all Nazarene pastors who cherish the truth of God’s holy word, who love their denomination, who love their people, and most of all, who love the Lord Jesus Christ, to speak the truth. Here is one of those voices. Thank you brother Kirby for not being silent. Our Mission: Charles and Bess Kirby have spent 56 years in pastoral ministry, pastoring some of the fastest growing and largest Nazarene churches in the denomination. The last 19 years were at Lake Gibson church in Lakeland, Florida that experienced incredible growth under their leadership. It is obvious God had a plan for them from the beginning in 1961 to resurrect, restore and bring healing to declining churches across America. Every church they have pastored has needed restoration. That has been their ministry from the beginning. Click here for highlights of their ministries. 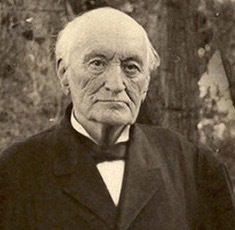 The bones of Phineas F. Bresee, founder of the Church of the Nazarene in 1908, are rattling in his grave in Los Angeles. The doctrine of Scriptural holiness he had preached as the pastor of the First Methodist Church of Los Angeles he was inspired by the Holy Spirit to bring to the new church. The doctrine and the new church spread like wild-fire across America. Scriptural holiness has been the distinguishing doctrine of the Nazarene Church from the very beginning until now. However, compromisers and liberal preachers are doing all they can to destroy the foundational roots that have guided the church through the years. It guided my parents into the church in 1944 during a revival with the silver-tongued orator, Dr. L.B. Hicks as the evangelist in what became our home church, the First Nazarene Church in Jackson, Tennessee. I preached my first sermon from that pulpit on March 28, 1957, 60 years ago this past March. I have been a career Nazarene pastor for 56 years, pastoring churches across America, the last 19 years at Lake Gibson Nazarene in Lakeland, Florida. It has been an incredible journey for Bess and me! During this journey of a lifetime, I have been faithful to proclaim God’s Word without fear or favor, and remain true to the doctrines of the Church, including the fullness of the Holy Spirit in every believer’s life through the experience of entire sanctification and Scriptural holiness. Ladies and gentleman, I never dreamed the day would come when I would be forced and directed by the Holy Spirit to write these lines about my denomination. But that time has come and I cannot be silent! An indication that our moral resolve is weakening, and we are questioning our moral responsibility and leadership as Nazarenes occurred on the floor of the Nazarene General Assembly this past June when 97% of the delegates voted to remove the word “Perversion” from the Nazarene Manual statement on human sexuality as related to homosexuality. Since when did this behavior cease to be a perversion? Our overwhelming action on this appears to be indicative that we have lost our moral courage as a church, and are now more concerned about not offending someone. Perhaps the most alarming and disturbing action associated with all of this also occurred during the past General Assembly when leadership of the Nazarene Church permitted for the very first time an exhibition of the rainbow flag and the LGBT letters…worldwide symbols of the homosexual movement. Click HERE to see the Nazarene Church web site that is sponsoring the booth. 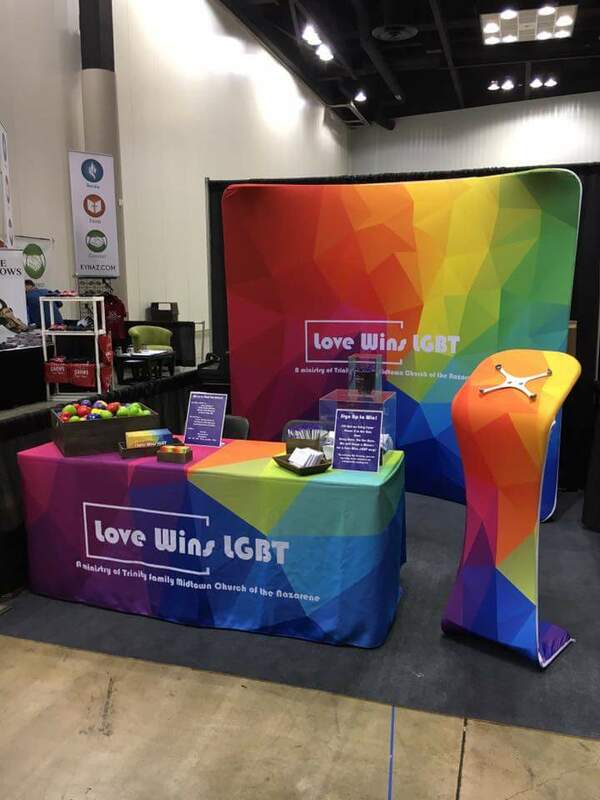 Allowing for the appearance of the rainbow flag and the LGBT letters in full display at an exhibition booth at a Nazarene General Assembly may have seemed innocuous, but it is not. If anything it was naive and foolish, and a betrayal of trust, and I cannot be silent! I have told general church leaders the past few years that the Nazarene Church was in serious trouble and in a state of decline, but to no avail. I have based the fact of that statement on the response I have received from viewers to my messages from the worldwide web aired from the pulpit of Lake Gibson Church. It has been overwhelming when I have preached against the culture changing the Church rather than the Church changing the culture, and being Biblically correct rather than politically correct. The only thing that can save us is a mighty move of the Holy Spirit to fill every pulpit in the church until preachers will experience the powerful anointing of God’s Spirit, to be bold in proclaiming the truth found in the Word of God without compromise…a modern day Great Awakening! Dear God, please revive Your Church! The following question was recently asked, and I thought I would contribute in hopes of helping this person, as well as other Christians- Nazarene or otherwise. I hope this helps. I don’t have all the answers. No one does, except One. God has the answers. God does know the future. God does not make mistakes and learns from them. He is perfect, He is without error. On that fact we can depend on. He holds us in His hand. We can trust Him even in the midst of our own uncertainty. Thank God for that! Question: My husband and I were both 4th generation Nazarenes. We both attended Nazarene schools and graduated in 1997/1998. When we started having children we really started noticing the emergent direction of the Nazarene Church and decided to leave (7 years ago). We really struggled to find a church and still after 3 years with our “home church” are a little unsettled. What is your advice for those with young children who want to raise their children the way we were raised? Both of our families were very conservative and believed in the conservative Nazarene doctrines. Any advice or suggestions would be appreciated. From my five years of involvement in this battle, here are some observations and conclusions I and others have come to. The problem in the church begins with the fact that many of our leaders and pastors no longer believe that the entire Bible is the inspired and inerrant word of God. If this foundation is destroyed, what else is left but for everything else to crumble? The world is full of evil, and it seems the most dangerous kind is being found within the church today. 1. The leadership of the Nazaren church is pretty much invested with emergent ideology and other false doctrines and practices, the embracing of Roman Catholic practices, contemplative mysticism, open theism, a relaxation of the biblical teaching on the sin of homosexuality, and even promoting evolution openly. When I say leadership, it includes some on the General Board (Middendorf and Porter) who have been shown to be promoters of some of these false movements. 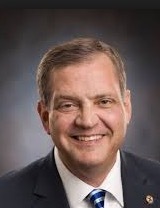 Dr. Porter for instance is a big advocate of the G-12 (Master’s Plan) movement, which particularly has caused great harm to Spanish-speaking Nazarene churches, but the movement is also influential in parts of Brazil and other countries, as well as here in North America. He is also involved with radical political social justice organizations. 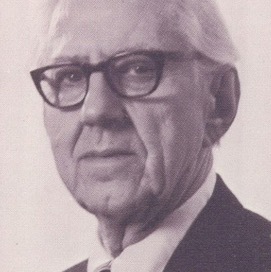 It has also been documented that Dr. Middendorf promotes the emergent church movement, along with his son Jon. The other Generals from the past eight years at the very least have shown no leadership at all on these matters, and mainly are indifferent or blind to what is going on. In my opinion, I believe they are mostly interesting in pursuing the financial bottom line and keeping the numbers growing in order to help the church get out of serious financial debt. Several years ago, there was a sexual abuse scandal that involved the Bethany First Church of the Nazarene in Missouri as well as Southern Nazarene University, which cost the denomination an unspecified amount of money to settle the case. I believe this and other problems have brought the denomination into serious financial crisis, to the point that even some church properties are being sold, growing congregations disbanded, and then coffee houses are being setup to replace these churches, without regard to the members. Others in leadership are also either buying into this stuff, or ignoring it completely, including many district superintendents, the college presidents (based on not voicing anything at all at best, or promoting these things at worst, such as Dan Boone of Trevecca), and many, many pastors and others in leadership positions. A few leaders have boldly spoken out, such as Dr. Orville Jenkins, Jr., in opposition to emergent ideology and the social justice emphasis, but that is a rare exception. Thus, where the leadership goes, so goes the denomination in general. In short, I believe the denomination is damaged beyond repair, barring a complete and radical repentance of the General Superintendents and others in power. Holding the line inside our generally apostate denomination are the following: local churches that have decided to stand firm and stick a thumb in the eye to the leadership, by simply and respectfully rejecting the false, and preaching the word of God. I am sure that many in leadership position go apoplectic whenever they hear that a local pastor proclaims that the Bible is completely and totally God’s inerrant word! Did you know that a licensed minister in my New England district, was told by the licensing board a few years ago, that most likely he would not be approved for ordination. Why? Because he was guilty of attesting to the fact that he believed that the Bible was the inspired and inerrant word of God. Imagine being rejected for believing in the word of God, yet many others being ordained who believe open theism, the teaching that God cannot possibly know all of the future. This is our Church of the Nazarene today, and not one of these leaders can refute these facts. There are few of these faithful churches left, but they are there, and we are thankful for those churches that remain true to the word of God. Also holding the line are most of our evangelists, yet, I believe the problem there is that there are fewer and fewer invites for evangelists to preach at churches, especially emergent churches. No wonder, since the evangelists actually believe in the word of God! And finally, there are the individuals and families who are hanging in there inside the walls of some of these churches, fighting hard to warn the brothers and sisters. I cannot count the many letters I have received over the last five years, including from across the ocean, detailing the sorrow at what is happening in their church or district. They speak of the disappointment as they realize their pastor is simply getting annoyed at them for asking questions. They speak of how if they persist in getting answers, they end up getting ostracized, they end up being spoken of as the “troublemakers’ and “dividers”, and they eventually have no choice to leave. And I can’t begin to tell you how this has affected more Nazarenes than I can imagine, some who left a church they were a member of for over 50 years. Your own decisions in this matter is ultimately up to you after seeking God’s direction through much prayer and reading of His word. As we always tell everyone, don’t take our word for it. Use biblical discernment, investigate the facts, and reject anything that does not line up with the word of God. For those with young children, especially, you MUST protect them even more! You cannot bring young children into a toxic environment where you wonder whether the Sunday School teacher is indoctrinating them with all sorts of foolishness. That is one reason that I was also glad to leave my church, because of lack of solid biblical instruction from “teachers” who lacked discernment and knowledge of God’s word. Option 1: Some may have to leave their church, even if they have been a member for many years. Ultimately, a Christian must be true to God first and always, above allegiance to any pastor, church board, church members; above any kind of need for fellowship, or the need to keep their friends, or even the need to keep their children from getting hurt by losing their friends. I know, because my family has been there, and done that. We have experienced what it is like to be betrayed by a pastor who we trusted, and we have experienced the ostracizing that comes from simply speaking the truth. We have experienced the loneliness from waiting for even one church member to call us. Yet, we had no choice but to make the right decision regardless of the consequences. Should a Christian decide to stay and “fight”, that may be what they should do. But they also may need to shake the dust off their feet if they reach the conclusion that it is pointless to continue “fighting” those who persist in remaining in darkness. Option 2: They may have to leave the church, and also they may have to leave the denomination. I have letters from these type of Nazarenes. They had to leave their church, and could not find a single Nazarene church in the area as a good alternative. How sad that this happens so often, more that we perhaps can know. But does one try to stay a Nazarene at all costs, or have we forgotten that the true church is comprised not of the Nazarene denomination, but of those faithful Christians from many other denominations who are true believers. It is almost like an idolatrous adoration towards the Nazarene denomination, with an attitude of “I will never leave my Nazarene denomination, no matter what.” If anyone has that kind of attitude, I truly feel sorry for them. They have lost sight of the true church of Jesus Christ. The bottom line is that we ought to be faithful to Christ, not to a denomination, or a pastor, or to what has become a social club in many churches. We cannot fret about any kind of “loyalty” to the denomination, and must take care of what we need to take care of. It’s not worth any denomination, and in many ways, denominationalism has led to many of the problems in the church today. We don’t need denominations, as much as we need strong local churches whose pastors preach unashamedly the whole counsel of God. If there is to be a walking away by many from the denomination, then God will lead them away. If there is to be a new holiness movement, God will direct it. If not, we should not be concerned about it, but just be faithful to God. Find a good, Bible believing church that preaches the truth, and stick with it. But even so, always be a Berean. I feel like “the house ” (i.e. the Church) is on fire, and most [Christians] are standing around just watching it burn. I know that is not the case with your ministry, and others I keep up with on the internet, but in my own backyard, I am not seeing evidence that the alarm is sounding to the degree it seems a burning house would warrant. I am only about 20 miles or so from the mega-ministry of Joel Osteen, whose message seems to stand out in our southern area more than others. It seems that the message of the Emergent Church is slipping in relatively unnoticed, and now has a high level of penetration in the Christian Bookstores. The Emergent Church has become just one more “feel good gospel”, and is not seen as a threat to The Church. With all the Concerned Christian DVD’s we have passed out, we have only found a couple of people who even knew anything about the Emergent Church beforehand. After giving them the DVD and checking back with them for their response, many have not even taken the time to watch it. The exception is the faithful members of the church we recently left, where they are well aware that their church is on fire. They are working overtime to distribute stacks of books like Faith Undone by Roger Oakland to as many members as possible in an effort to join together, vigorously sound the alarm, and desperately try to put the fire out in their beloved church which is quickly following the Emergent Path. Just Who Is Dividing The Church? Over the last few years, the Concerned Nazarenes group has come under criticism from its opposition within the church. Typical descriptions include “unChristlike behavior”, “causing division”, “dividing the church”, “who are you to judge?”, or the unscriptural “you should never judge” admonition. Those of us who believe in exercising biblical discernment need not fear any Scriptural refutation of our concerns, because there is none. The response is either false accusations and misused Scripture references such as Matthew 7:1 to say we should not judge, or Psalm 46:10 to justify contemplative spirituality practices; or no response at all. When we explain how prayer labyrinths, ashes to the forehead, and lectio divina are unbiblical; the opposition says we are causing division. When we speak out against ecumenism and the embracing of Roman Catholic mystical practices and state the biblical reasons why; they say we are causing division. When we point out the false teachings and doctrinally-challenged theology of Brian McLaren, Rob Bell, Leonard Sweet and others… they say we are causing division. When we expose a Nazarene pastor (Gabriel Salguerro) for promoting an ungodly “spirituality” festival, we are met with silence because they cannot defend that type of behavior… or we are called dividers. This is another typical example of the kind of attacks that we should expect more and more in the future, for anyone who dares to continue to expose the truth of what is happening in our denomination as well as many others. Rev. Brickley, who has posted this type of invective publicly before, is not an exception. He exemplifies what is standard procedure for even some ordained elders in the church, and for those who support and promote the emergent church movement, contemplative spirituality and other dangerous ideologies. These Are The Ones Who Claim To Be Understanding and Loving? So much for practicing what you preach. Note that if you don’t agree with Dr. Boone, you are not a “thinking Christian.” Yet he has received much praise for a book that attacks Christian fundamentalists. And then there were the personal attacks from Olivet theology head, Dr. Carl Leth. (Responding to Dr. Leth’s Open Letter) He wrote a critique which also followed the Dan Boone method of claiming love and concern for us, but which devolved into yet again the same pattern: baseless attacks with no Scriptural foundation. When you view the many comments of those who praised his article, it is astounding how people can be blind to Dr. Leth’s baseless and un-Christlike accusations. As we proved with objective facts in our response, Dr. Leth was either horribly ignorant of the facts, or he deliberately ignored the facts and made false accusations about me as well as the folks at Lighthouse Trails Research. It is amazing that Dr. Oord did not call out this man for making such a hateful and threatening statement on his Facebook page. It is ironic as well, because Dr. Oord loves to write and talk about love, and has a blog called For the Love of Wisdom, and The Wisdom of Love. Apparently he has no problem allowing this kind of comment to go unchallenged. These are just a few examples. I could go on, about those who brought false accusations against Pastor Joe Staniforth for simply preaching against emergent ideology, leading to his dismissal from his pastoral duties and missionary service. I could go on about the General Superintendent who dismissed me out of hand in an email to Dr. Boone, after he realized I was not budging easily from my position. All these attacks serve to illustrate that these people will go to great lengths to protect their turf, at the same time pretending to be the understanding and loving ones. Nothing could be further from the truth. The NazNetters, and the emergent Nazarenes who claim that they are part of a so-called “big tent” denomination, will go after anyone. I recall the disrespectful comments they dished out when a well respected District Superintendent dared to write and speak out against emergent ideology and radical liberalism in the church. Just as they attacked his integrity for refuting their ideology, so they will someday even go after a General Superintendent who might speak out and stand up for biblical truth in the church. They don’t care, because their sole interest is to protect the turf that they are trying to permanently claim as theirs, and theirs alone. To those who are working hard to defend the truth and expose the lies, you have not seen the worst of it yet. You need to prepare for even worst in the future, and the worst will continue to come from within, from the wolves inside the church. Do not be afraid of them, do not give an inch to them, do not be intimated by them. Just keep calling them out for what they are doing to the church of God. Regardless of the consequences, your obedience to Christ is not an option. 2. The division that is happening in the church is coming naturally, because what you teach and promote throughout the denomination is causing many Nazarenes to react to your unscriptural teachings, and they are calling you out on it. The Scriptures clearly teach us that we are to be discerning, and to defend the faith once given to the saints. Paul says in Galatians 1 that if anyone else preaches another Gospel, let him be accursed. We are to be Bereans, and question our very own pastors or leaders if necessary when we hear strange doctrines and “new” ways of “experiencing” God. It is not hateful to do that; it is because of love that we ought to do that, for their own sake, and especially for the sake of Jesus Christ and obedience to Him. But Jesus also commands us to love our enemies. There are enemies of the Cross within the church, and yet, we are to love them, and to pray for them. And so we will. To those reading this who have been misled by false teachings, we will lovingly and prayerfully reach out to you and show you what God’s word says and help bring you back to the truth. To the ones who are deliberately misleading other Christians, we will not be so gentle with you, because false teachers will not be given a free pass. We will call you out for what you are doing against God’s word. We will reprove and rebuke, but we will also pray for you, and we still love you. Posted in *Nazarene Colleges & Seminaries, Defending the Faith, Emergent Church, NazNet	| Comments Off on Just Who Is Dividing The Church? A few weeks ago, New Bedford International Church lost its senior pastor through retirement. Pastor JR Chavier had to step down due to health reasons. I have known JR for many years, and my family attended the same church his dad pastored when we first came to the United States in 1961. I have gotten to know Pastor JR in the past three years better than I have known him in the many years before that. Not all who call themselves pastor are qualified to serve, because not all have been called by God. The literal translation of the word for pastor in the New Testament means “shepherd.” Our Lord Jesus Christ is referred to as a shepherd. Thus the pastor of a church is an under shepherd of The Great Shepherd, with a desire to serve being one of the first qualifications. A pastor is responsible for feeding the flock. It is a spiritual gift to be called by God to be a pastor. Other qualifications of a pastor is that he must be vigilant; be sober, just, holy, and temperate; be of good behavior; must not be given to much wine; be patient with others; must not be greedy or covetous; not be a novice; be blameless (although none are without faults); given to hospitality; have a good testimony among those who are outside; be the husband of one wife; must rule his house and be the spiritual leader of his family, having his children in submission and with all reverence. And finally, pastors must also be apt to teach; they must hold fast the faithful word; and they must teach sound doctrine both to exhort and convince the gainsayers. Those who know Pastor JR recognize that he has these qualifications. These qualifications are not optional, so a faithful pastor will meet and follow all these items. In my two plus years as a member of International Church, I have observed a consistency in these areas. I particularly have been observant of the last three items I mentioned. In these days of increasing apostasy, the retirement of a senior pastor can be one of the most critical moments for a local church. In the last few years I have been at International Church, what I have heard is a pastor preaching the whole council of God: the good news as well as the bad news. I have seen a consistent underlying theme that is at the foundation of Pastor JR’s teaching: that the Bible is God’s inerrant word, that is it our final authority in our faith and practice, and that we must never deviate from its clear teachings. His father taught the same principle for many years. This is one of the legacies that Pastor JR is leaving to the church, and I have no doubt it is a teaching that will be reinforced by Pastor Ramiro. “Let not many of you become teachers, my brethren, knowing that as such we will incur a stricter judgment.” James 3:1. Some of you know that three years ago was one of the most difficult times for me and my family. I recall the night I attended an evening service in April 2009, and before service started, I asked Pastor JR if perhaps in the near future, we could get together and discuss my concerns about a movement called the emergent church. Not only did he say yes, but he practically pulled me into his office after the service, along with Almeda, Clay, and Jim, and by the time we finished talking, I was scheduled to speak at the church a few months later about those concerns. He did not care about anything else but to open more eyes to the dangers around them. I owe a lot more to Pastor JR than can be said here. He has been a source of encouragement and sound advice, and I know there are many others who would echo the same words. He did not choose the expedient things. He chose to do the right thing, and the right thing is to be on the side of God and His word, not on the side of men and popularity. Remember Luke 6:26: “Woe unto you, when all men shall speak well of you! for so did their fathers to the false prophets.” I have seen a man who has stood firm. He has maintained a standard and set an example that other pastors should emulate. I have no doubt Pastor JR and Almeda will continue to serve the Lord in a new capacity. It would be a shame if that foundation of biblical certitude were to disappear from this church. I have no doubt it will remain with Pastor Ramiro. But as the church takes steps in the coming months to find a senior pastor, I have a humble word of advice to my fellow members. It could be that this local church, a church which has stood strong in this community for years, may be at its most critical decision point in its history. The Christian church is under attack more than ever before, and the most dangerous threat is from within. One of the greatest acknowledgements we can give to Pastor JR, is to welcome a new senior pastor who reflects the same level of commitment to God’s word as he has demonstrated. We must select a pastor who is not swayed by the shifting winds of doctrine, but who will make all his teachings and decisions based on the word of God, who will uphold the gospel even at the expense of paying a great price, even at the expense of losing members. We must have a senior pastor whose focus is to faithfully preach the word of God, in season and out of season; who does not take from nor adds to the word; and who tirelessly defends the faith once delivered to the saints. Nothing less will do. Thank you, Pastor JR, Almeda, Mrs. Chavier, and your children, for your faithful service to the Lord. May God continue to use your gifts to build up the believers, and to bring the saving gospel of Jesus Christ to those who are lost. God bless you.